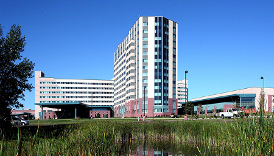 Fond-du-Luth Casino, owned and operated by the Fond du Lac Band of Lake Superior Chippewa, is located in Duluth, Minnesota. 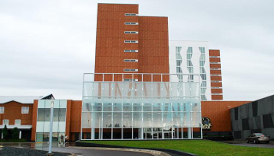 More specifically, Fond-du-Luth Casino is located in the heart of downtown Duluth, which is one of the top five largest cities in Minnesota in terms of population. 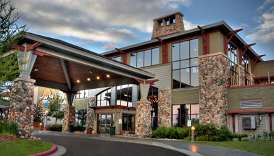 Given Duluth’s reputation as a tourist destination as well as its close proximity to the Twin Cities (just a little more than a 2-hour drive away), Fond-du-Luth Casino entertains countless players each and every day of the year. With more than 750 slot machines as well as several blackjack tables, this casino offers plenty of gaming options to please even the pickiest of gamblers. Some of Fond-du-Luth Casino’s other amenities include a rewarding players club, free check cashing, and an attached parking ramp. To see what else they have to offer, we invite you to continue reading through our guide below. Become a member of Fond-du-Luth Casino’s Players Club to be eligible to receive coupons, discounts, and special offers.